Here`s a radiant ring of faux platinum and simulated diamonds. 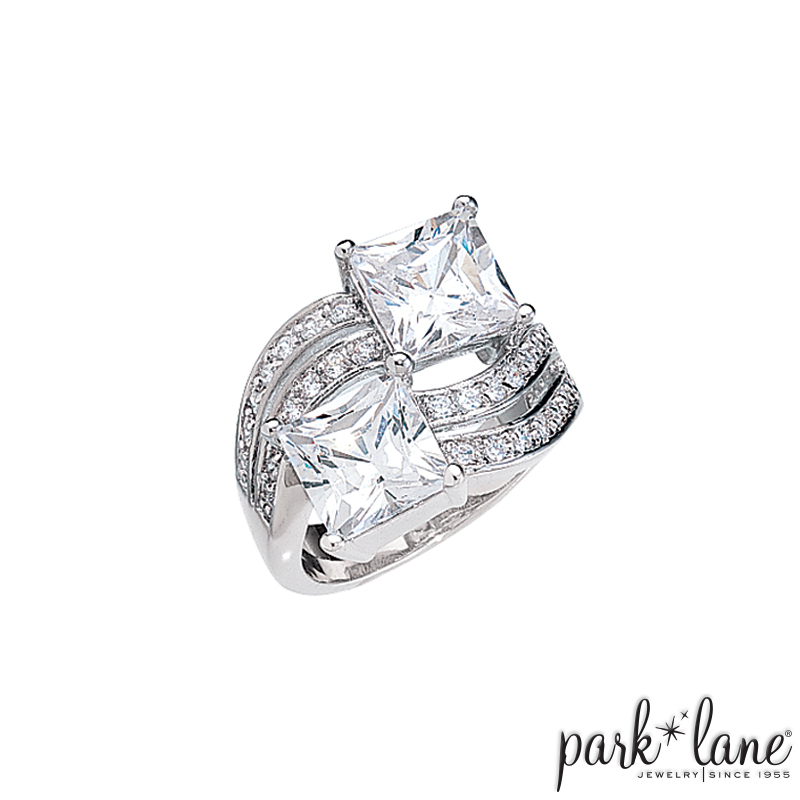 Double channel-set bars curve around your finger and showcase a duet of princess-cut cubic zirconias. Radiance ring is a FREE gift option that is reserved for hostesses who obtain three bookings at their show. Radiance ring is available in sizes 6 through 10. Complementing jewelry: silver & CZ/crysal accessories.